Cape Town - West Indies all-rounder Kieron Pollard has been named as captain of the Bloem City Blazers for the inaugural T20 Global League starting in South Africa in November. The explosive player has had several involvements in leaderships roles, and has previously captained the Mumbai Indians (IPL) and recently the Barbados Tridents in the 2017 edition of the Caribbean Premier League. 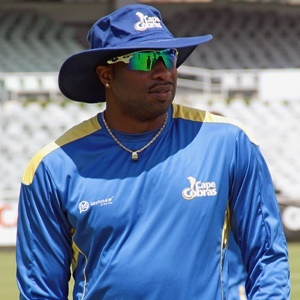 Head coach, Phil Simmons, says Pollard brings a number of valuable qualities to the role, along with supreme international and domestic T20 experience. "Polly is a World-Cup winning player and has won numerous T20 domestic titles across the globe; his leadership is a vital asset to the Bloem City Blazers. He brings with him a deep understanding of the game and the energy and passion to inspire the squad in our first attempt at T20 Global League success." The 30-year-old has played 56 T20 Internationals and 387 domestic T20 matches in a decade-long career of T20 cricket. Pollard says leading a group of talented and skilful players from around the world will be an opportunity to create a competitive, high-performing and enjoyable environment. "I'm honoured to be leading this immensely talented group of players," said Pollard. "Every year I come back to South Africa and I am made to feel incredibly welcome. The T20 Global League is a new and exciting competition and looking at the squad we've put together I'm confident our brand of cricket will light up Bloemfontein and give the fans cause to cheer. "We want to start with real momentum and the fans being behind us from the outset is important. We've got world-class talent that covers every base in the Bloem City Blazers squad, the ingredients are all there to make the T20 Global League a successful tournament for us. "I've either played with or against most of the guys so they'll be familiar with how I lead a group. If we perform our roles and show the fighting spirit from the outset we will be formidable opponents," he said. "I can't wait for the first game." The Bloem City Blazers will open their T20 Global League campaign against Cape Town Knight Riders at the Mangaung Oval in Bloemfontein on November 5th. David Miller (batsman), Kieron Pollard (all-rounder - captain), Dane Paterson (bowler), Chris Jordan (bowler), Dwayne Smith (all-rounder), Shaun von Berg (bowler), Aaron Phangiso (bowler), Morne van Wyk (wicket-keeper), Beuran Hendricks (bowler), Theunis de Bruyn (batsman), Janneman Malan (batsman), Ryan ten Doeschate (all-rounder), Clyde Fortuin (wicket-keeper), Rayad Emrit (all-rounder), Werner Coetsee (all-rounder), Yaseen Vallie (batsman), Akhona Mnyaka (bowler), Keegan Petersen (batsman). Robin Singh (Director of Cricket), Phil Simmons (Head Coach), Robin Peterson (Assistant Coach), Allan Donald (Bowling Coach, mentor and Ambassador), Harishankar N (High Performance Analyst).